3 New Sponsors and a VegFund Grant! 3 Excellent Companies and a Terrific Non-Profit Support WuW 2012! 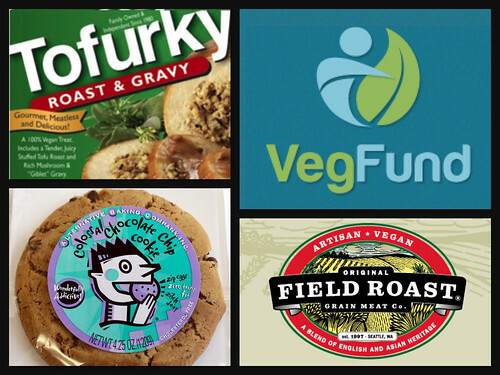 What do Alternative Baking Company, Field Roast, Tofurky, and VegFund have in common? For one thing, they all work tirelessly to bring delicious, nutritious, compassionate cuisine to hungry people everywhere. And for another, they’ve all pledged to help us make Wake Up Weekend 2012 the best one to date! Thanks to VegFund, Wake Up Weekend participants can expect sumptuous samples of the most delicious vegan products currently available, as well as bite-sized vegan vittles from Bartertown Diner and Brick Road Pizza at the vegan chili cook-off. Thanks to Alternative Baking Company, Field Roast, and Tofurky, the opening reception for KINSHIP will be extra delectable, and winners of the chili cook-off can expect more enviable prize packages than ever! Thanks so much to these excellent organizations for their generous support!